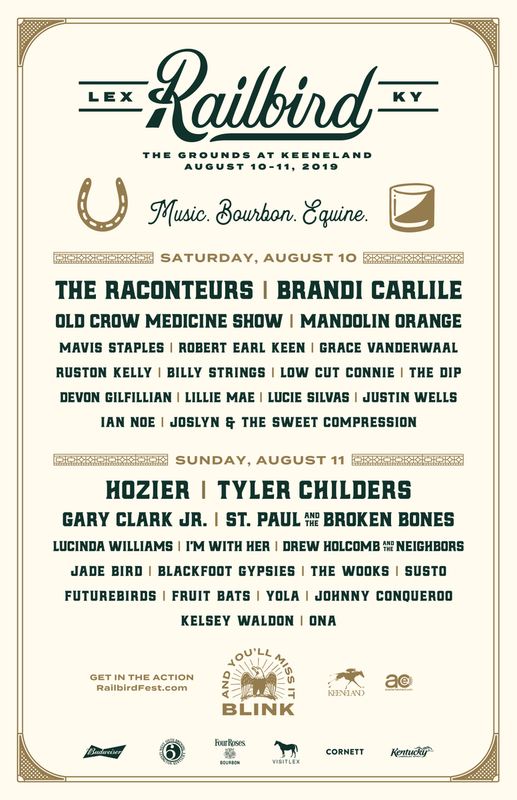 It's a two-day festival, Aug 10 & 11, held on the grounds at Keeneland to celebrate music, bourbon, and horse racing. Festival is being organized by AC Entertainment, who puts on Bonaroo and the Forecastle Festival. The lineup was released today, and I think it's outstanding! I will be there. I saw TC last night in Covington, the guy gets better every time. There's a lot here to like. Brandi Carlile is great and I've been a fan of St. Paul and the Broken Bones since the first five seconds of the first song I ever heard them play. Apparently the music festival itself is supposed to be taking place out in the fields where the parking is staged during racing meets. They're going to have bourbon events in tents and in the grandstand, the grandstand itself will be used for VIP facilities and VIP events for those willing to pay for it, and there will be tours through the horse stables and facility, but the rest of the festival is going on out in the fields. So long as the weather isn't too too wet (this is in August, so chances are it will be crazy-hot and dry), I don't see the wear and tear on the grounds being too bad. I've been to the Forecastle Festival at Louisville Waterfront Park the last five years straight, and even with some rain, their great lawn seems to do pretty well handling it.